(For more details on the mechanics, see the FAQ on subscribing. 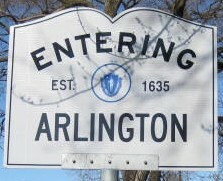 To subscribe to the Arlington List, go to https://arlingtonlist.org/subscribe and fill out the form under the heading "Subscribing to arlington". After you submit the subscription form, you will be sent an email from the list software with instructions on how to confirm your subscription. This message should be sent automatically as soon as you submit the form, the page mentions you might need to wait for approval, but for the Arlington List you do not, you just need to provide confirmation. The message you get will give several methods, I suggest using the link to the confirmation page. The option to reply to the message might fail if your email program doesn't reply back with a plain text message. The form ask for your "Full Name", which is requested but not required. The list software and its mangement respects your privacy, and places it under your control. The name you enter here can not be seen by anyone but the list administrator. No one else can see your name or email address until/unless you post a message or add an entry to the Cast of Characters. One problem that might occur, is that you email provide might think of the message from the list software as spam., so if you don't get the confirmation email shortly, check your spam folder for the message (GMail users should also check the alternate inboxes Social and Forum). Another thing to try is to "white list" the mailing list by adding the following email addresses to your address book: arlington@arlingtonlist.org, arlington-bounces@arlingtonlist.org, and arlington-request@arlingtonlist.org, as these are addresses mentioned in emails from the list. (You should generally only actually send email to the first of these). Placing your name in your messages when you post is also not required (but strongly requested). For more information, see the articles on Privacy and Anonymous Postings.